New Zealand based heavyweight David Tua (52-4-2) will make a call on his injured calf. That call is expected today and will be aided by an expert medical assessment that will determine whether his August 31st bout with Alexander Ustinov (28-1-0) goes ahead. Ustinov when informed of the news was nonchalant, taking the news well in accepting injuries and boxing go hand in hand and there is little he can do about an injury to an opponent. Tua calling his calf muscles ‘his pistons’ is being judicious, nearing 41 years of age he has to get all the little things right in posting a win against the Belarusian. In Tua’s bout against Barrett, Barrett employed the stick and jab well, moving Tua from corner to corner in keeping him at bay off the back of an effective jab. The template Barrett employed is the very template that has historically given Tua problems. However does Ustinov have the same boxing wherewithal of Barrett and can he move the much shorter Tua around as Barrett and other lighter footed heavyweights have in undermining Tua’s vaunted power? In short no, Ustinov’s boxing merits are in his massive physical dimensions. His approach will be much more simplistic, a stiff jab in looking to set Tua up for his right hand and therein lays the basic approach that Ustinov will use and what Tua was have to diffuse. 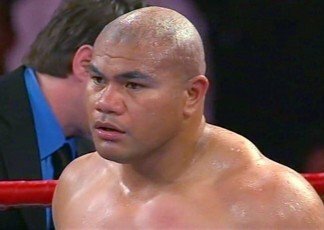 Any well timed punch from a man weighing in excess of 134 kilograms and standing 6ft 8 will come with velocity, that said any well timed punch from David Tua could drop a bull elephant in musth and if one were using animal type comparatives for the task at hand, an elephant sized task is what awaits Tua. Any further analysis of the fight may have to wait to see if Tua’s ‘pistons’ are in working order but irrespective of when the fight happens one thing will not change and that is the fact that in Ustinov Tua will be fighting the biggest opponent he has gone head to head with in his career to date.